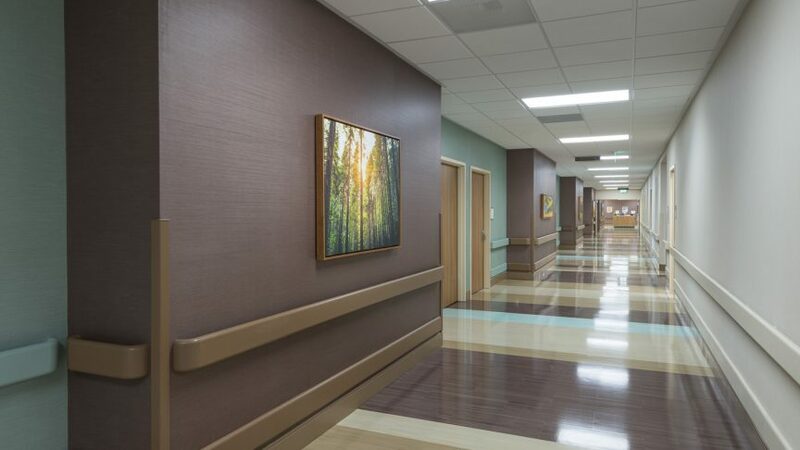 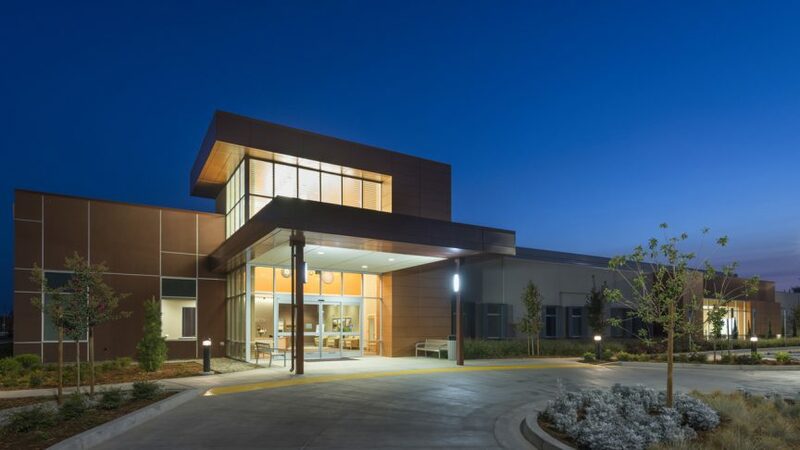 The warm colors and earthy textures found in California’s sun filled central valley influenced the exterior design of this new 53,600 s.f., rehabilitation hospital. 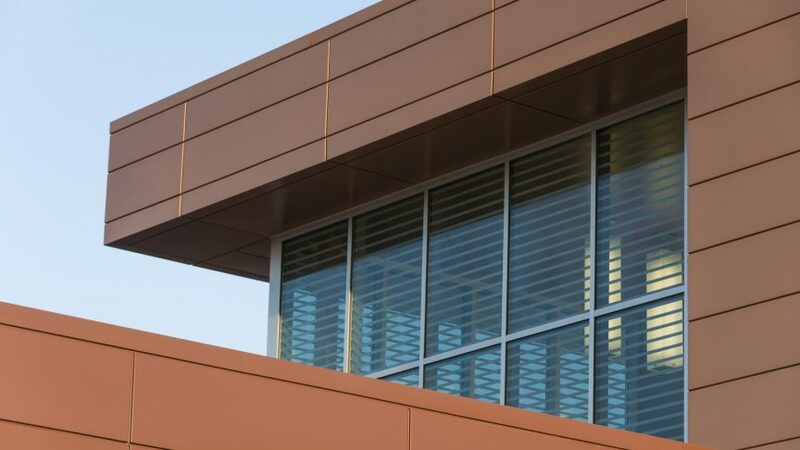 The exterior is clad in stucco using a combination of colors as well as copper-colored metal panels that emphasize the strong angles of the building. 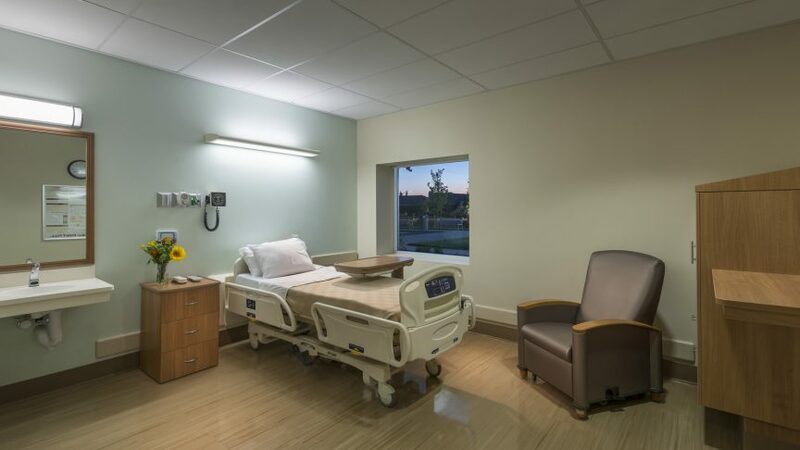 The hospital is designed for a future addition which will add an additional 30 beds to the facility. 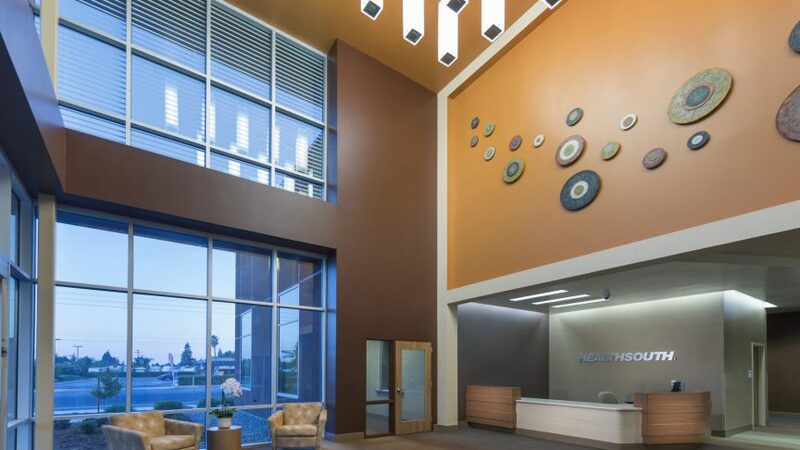 This rehabilitation hospital offers on-site x-ray and a physical therapy gym.